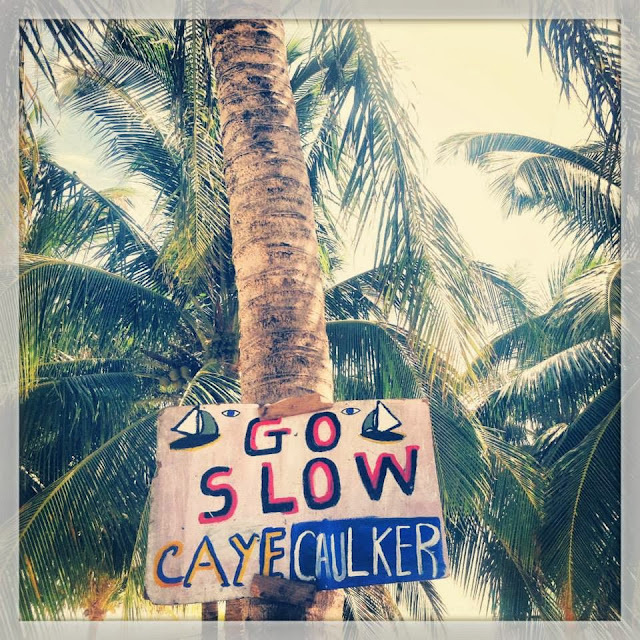 We have officially done Caye Caulker. We spent a week on the tiny Caribbean island and we know every local. Walking from our hotel to the convenient store to get water may only be a 100 yards but it takes 15 minutes because we have to stop and talk to everyone. It has become a chore. We became as close to regulars as we could get at our morning breakfast spot, Fry Jacks. I think we will forever miss the Lazy Lizard at the Split and their green juice. Hollie and the three of us have parted ways. 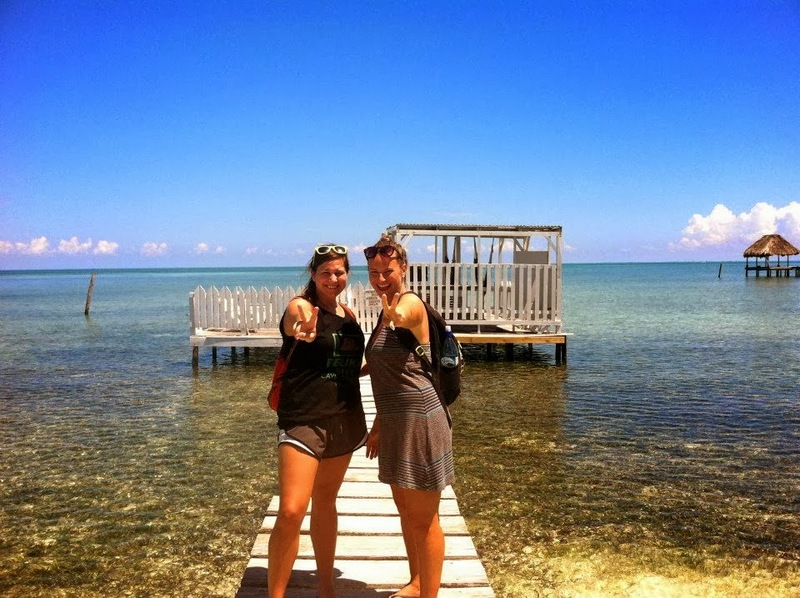 Hollie is doing a three day sail down to southern Belize but I will hopefully be seeing her in Guatemala soon. 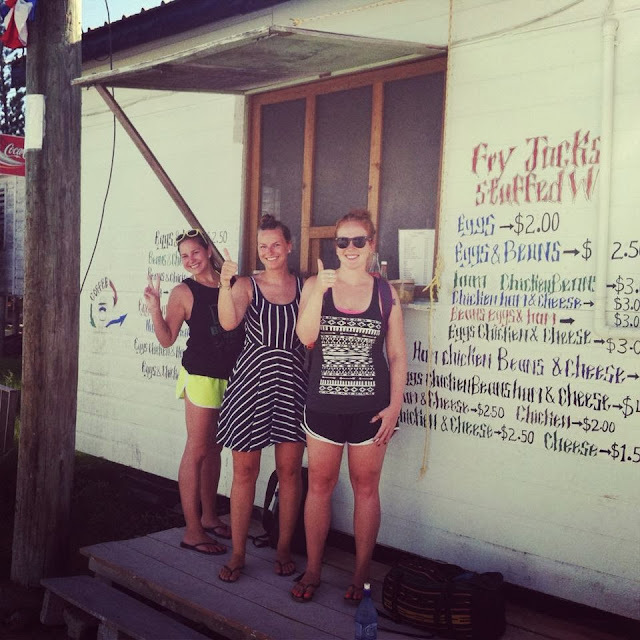 We left Caye Caulker early in the morning to go zip lining and cave tubing outside of Belize city. We started with zip lining as the tour company suggested that the tubing will feel refreshing in the afternoon as the water is cool. We harnessed and helmeted up and did about seven zips. 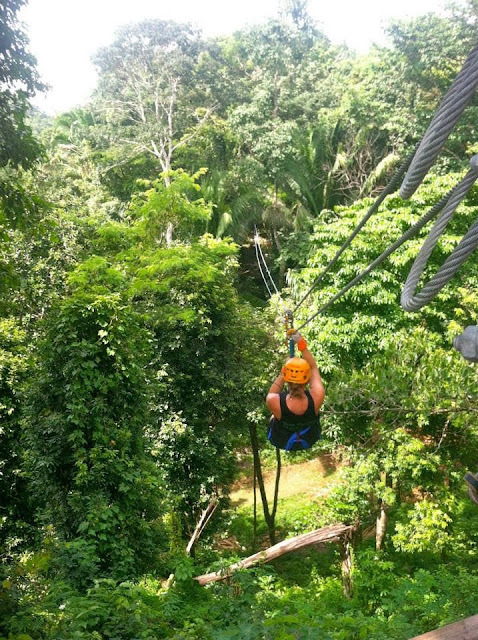 We flew through the jungle yelling yeeehaw! 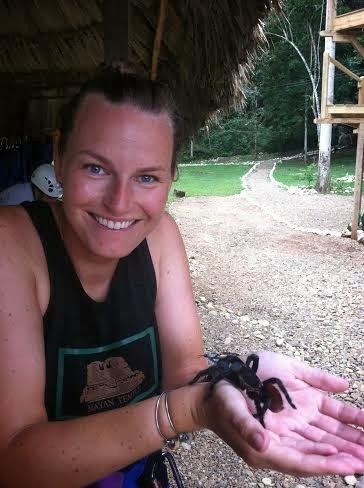 At the end of the morning one of the zip guides picked up a tarantula from the jungle floor so naturally, we all had to hold it. They are as light as a feather. Unfortunately, I do not have any photos of cave tubing but basically after walking through the jungle for a good while we came to a river that goes underground. After jumping off rocks and waiting for the cruise ship tours to make their way into the cave we hopped in our tubes and turned our headlamps on. It was so dark in the cave as there is no natural light source. 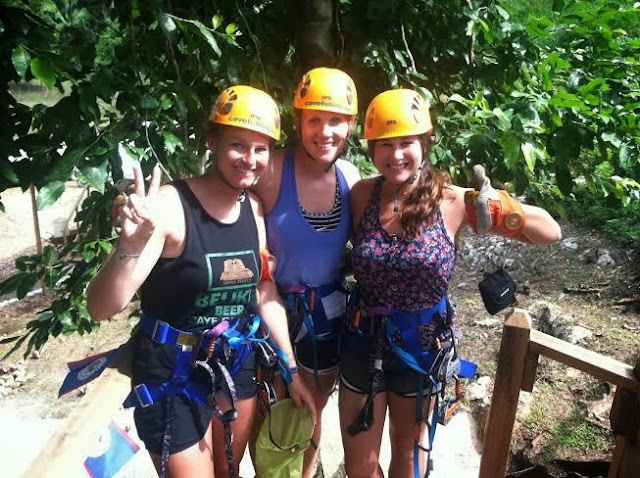 We made a few stops along the way to slide down waterfalls and explore stalagmites. It was a leisurely inner tube cruise that ended with a delicious lunch. That afternoon we took a local bus to San Ignacio (Cayo) which is along the Guatemalan boarder. 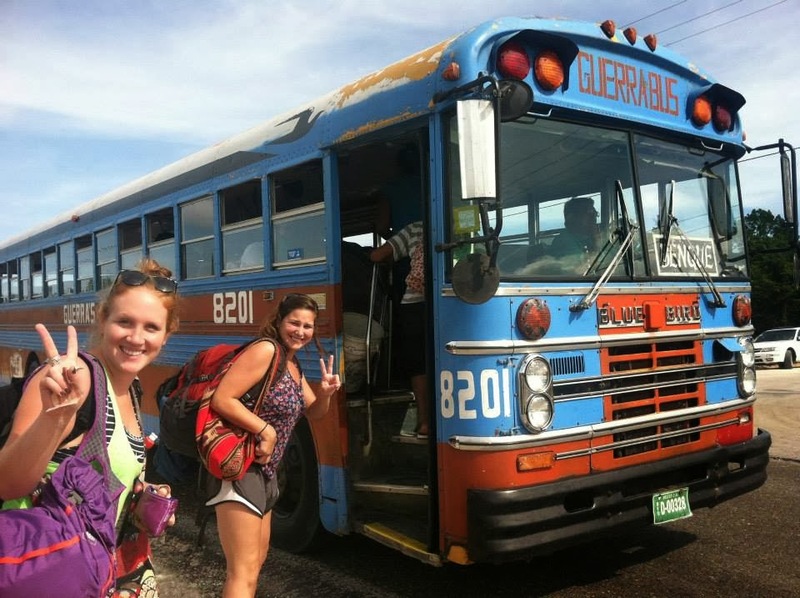 The local bus in Belize will probably be my favorite bus ride to date; I felt save, I didn't feel lost because I could ask people "do you know how much longer? ", the country side views were gorgeous and the people watching was endless. After arriving in San Ignacio with a rough start to finding a hostel we met a Canadian backpacker, Ryan, who recommended a cheap hotel. We have now settled in to mainland Belize.